Ulterior is pleased to present Prayer, an exhibition of works by Ingrid Eggen, Masumi Kataoka, and Joseph Whitt. The exhibition opens on Saturday, November 19th with a reception from 6 to 8 pm. The artists will be present at the reception. As the temperature drops and the days get shorter, we wrap ourselves in more layers to keep warm, binding our bodies and restricting their capacities. These layers protect us like a temporal cocoon. Attention drifts inward and we become saturated with the self. The sensory distance between the body and the world grows bigger in these chilly temperatures, and we yearn to find something that can connect the internal world to the external one. But how do we form this connection? 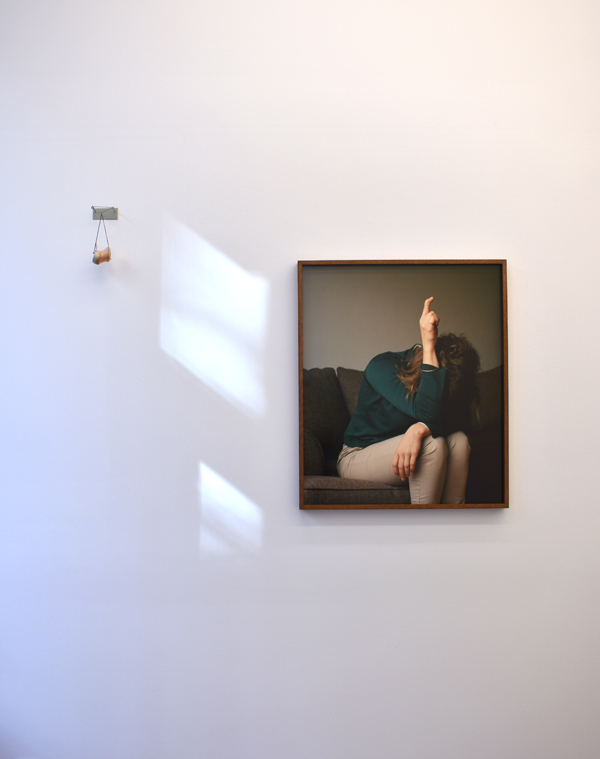 Through her ongoing series of portrait-like photographs, Knegang, the Norwegian artist Ingrid Eggen deconstructs and reconfigures the morphology of body language and its meaning. The gestures that the model adopts in these photographs appear to mimic existing signs and symbols used in non-verbal communication, but really do not. By adapting the “meaning” of standardized gestures and poses, Eggen enacts an entirely corporeal play on words. Silver jewelries that evoke (and sometimes incorporate) shards of animal anatomies by the Japanese artist Masumi Kataoka also seek to physicalize the connection between body and thought. By choosing forms that resemble insects and animal organs, Kataoka’s fascination with the ubiquity of anthropomorphized creatures in folklore, religion, and cultural history is translated into the use of wearable sculptural objects as ornaments and talismans. The Alabama-born poet and artist Joseph Whitt’s drawings seek to embody or make manifest fragments of thought in the pages of his journal. Composed of pencil, ink, and coffee stains, they capture the most personal moments of his daily contemplation with a sense of urgent immediacy. Whitt created the three recent drawings on view after receiving news that his father had fallen seriously ill.
Ingrid Eggen lives and works in Oslo. She graduated with a BA from Oslo National Academy of the Arts in 2006 and completed an independent study project at Academin Valand in Gorthenburg, Sweden in 2015. Her work has been exhibited at locations including: Lillehammer Kunstmuseum (Lillehammer, Norway), Galleri Galleberg, Tønsberg (Oslo, Norway), Rake (Trondheim, Norway), Holodeck (Oslo, Norway), and Preus Museum (Horten, Norway). Her first photo book was published by Multipress in Oslo, Norway, and launched at the NY Art Book Fair in 2014. In 2017 Eggen’s photographs will be the subject of two solo exhibitions at Akershus Kunstsenter (Lillestrøm, Norway) and MELK (Oslo, Norway). Masumi Kataoka is a jewelry maker who currently lives in Houston, TX. Her work has been exhibited at many museum exhibitions including: the Museum of Contemporary Craft (Portland, OR), Cleveland Museum of Natural History (Cleveland, OH), Victoria and Albert Museum (London, UK), Delaware Center for Contemporary Art (Wilmington, DE), and Houston Center of Contemporary Craft (Houston, TX). Her work has been featured in books published in Switzerland, Spain, Germany, Japan, Norway, and the U.S.
Joseph Whitt is an artist, writer, and independent curator living and working in New York, NY. He has performed at MoMA PS1 (Queens, NY), PPOW Gallery (New York, NY), Eyebeam (New York, NY), Deitch Projects (New York, NY), Envoy Enterprises (New York, NY), BGSQD (New York, NY), Cultural Services of the French Embassy (New York, NY), and Interstate Projects (Brooklyn, NY). His writings have appeared in Art Papers, ArtUS, Useless Magazine, and K48. He has released five books of poetry: 09.29.12, Defriendings, Harmonica, Various Forms of Absolute Necessity, and Ham Radio (all published by T.M.I. Ltd. in Brooklyn, NY). 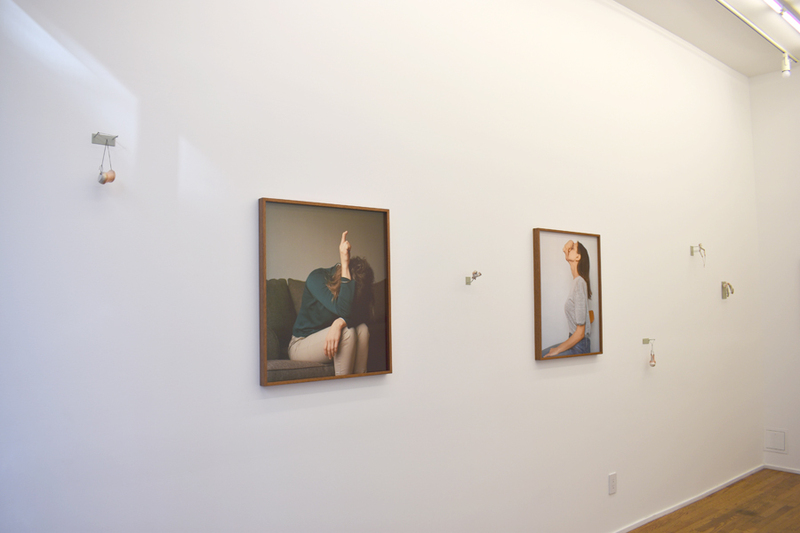 From Left: Ingrid Eggen, Knegang 3, 2015-16, C-print, 22 1/8 x 27 3/4 inches; Masumi Kataoka, Untitled, 2016, Sterling silver, animal Intestine, and nickel, 2 3/8 x 2 3/8 x 2 3/8 inches; Joseph Whitt, Untitled, 2016, Ink and coffee on paper, 5 1/4 x 3 1/2 inches.